It’s National Poetry Day, and we’re celebrating by introducing you to wartime poets! 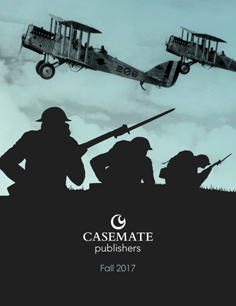 From the Great War through World War II, take a look at these collections of poetry and stories about poets from the home front to the frontlines of battle. The First World War has obsessed twentieth-century society as the conflict which marked a watershed in European history and which brought home to that continent the full horror of modern, industrialized war. It is also the only war where literature played a major part in forming society’s perception of it, so much so that the phrase ‘war poets’ is now taken to mean the poets of the First World War. Poetry and Myths of the Great War examines the various myths that have grown up around the war. It explores the historical and sociological myths of the Edwardian Summer, the supposedly banal nature poetry of the pre-war Georgian poets and the image of the British public schools as factories for unthinking cannon-fodder. It analyses the top command of the British Army and the idea that the British were ‘lions led by donkeys’. Using contemporary material, it examines the life, mood and morale of junior officers and private soldiers. It offers a partial revaluation of the work of the most famous trench poets and examines in detail poetry from lesser-known authors, together with the work of authors not usually associated with the war. In part a confirmation and in part a rebuttal of many conventional views, contemporary diaries and letters, as well as popular literature and verse of the day, are used to challenge many of our preconceptions. A recent critic, noting the conformity of opinion about writers of the First World War, commented that society’s vision of the war and its literature faced ‘death by orthodoxy’. Poetry and Myths of the Great War is an attempt to show the announcement of that death a little premature, a task for which Martin Stephen is well qualified. The Great War may have made Hodgson’s reputation as a poet but it also killed him. Like so many of his generation he was an unlikely soldier and this first groundbreaking biography explores his early life and his reasons for abandoning it and volunteering for the Army. Today Hodgson is remembered as one of the ill-fated 9th Battalion The Devonshire Regiment whose fate in the opening moments of the Battle of the Somme has become one of the emblematic stories of the most costly day in British military history. Before Action draws on Hodgson’s own writing and letters of his fellow officers to recreate the life and demise of a volunteer battalion from its formation in 1914 to its virtual destruction. Through their eyes and words we experience war: the Battle of Loos, where Hodgson won the Military Cross and the buildup to the Somme. At the same time the Author uncovers the hidden meaning of Hodgson’s poetry. Its themes of family, friendship, grief and remembrance strike cords a hundred years on. This is a guide to the battlefields that inspired the young and sensitive poet, whose poems are probably the twentieth century’s best-known literary expressions of experience of war. Detailed maps, military diaries, photographs and modern roads guide the visitor through the battlefields. Owen’s letters are used extensively, together with his poetry, linking specific places events, vividly describing the suffering of the trench. Rupert Brooke’s short life was filled to brimming with drama and romance. Today he is the best known of that extraordinary collection of British Poets of the Great War. Tragically his life was cut short but not before he produced arguably the finest poetry of the 20th Century, the best examples of which are in this book. Geoffrey Studdert Kennedy became one of the most famous army chaplains of the First World War, earning the nickname ‘Woodbine Willie’ because of his habit of giving out both cigarettes and bibles to the men at the front. During the war he also earned the reputation of an unconventional preacher, who kept men spellbound with his passionate oratory. He believed that the place of the army chaplain in battle was near the action, with his troops, and earned a Military Cross for bravery at the Battle of Messines. It was during the war that he began writing the prose and poetry that were to make him famous. However, there was much more to the life of this talented and unusual priest than his war service. In his prewar parochial ministry he had a definite bias to the poor, working in parishes with a high proportion of slum areas and poverty-stricken populations. In these parishes he became known for his ability to relate to all kinds of people and provide material and pastoral help, often at the expense of his own material possessions. He also developed a reputation as an excellent preacher, both in churches and at outdoor pitches. After the war, with a high standing amongst ex-service men and as a bestselling author, he took on preaching and speaking engagements in all parts of the country, becoming in 1921 a full time speaker for the Industrial Christian Fellowship, whilst continuing to write popular books which came honestly to grips with the postwar realities of life in Britain and the difficulties and rewards of the Christian faith in accessible terms. This book accesses previously unused material to examine Studdert Kennedy’s life in all its aspects, looking at his significance as an army chaplain, priest, theologian, author and public figure and assessing his impact on church life, industry and society before his early death in 1929. His life and achievement are examined in the context of Britain in the first half of the 20th century, assessing his legacy to the church and to society. During the First World War and its immediate aftermath, hundreds of women wrote thousands of poems on multiple themes and for many different purposes. Women’s poetry was published, sold (sometimes to raise funds for charities as diverse as ‘Beef Tea for Troops’ or ‘The Blue Cross Fund for Warhorses’), read, preserved, awarded prizes and often critically acclaimed. Tumult and Tears will demonstrate how women’s war poetry, like that of their male counterparts, was largely based upon their day-to-day lives and contemporary beliefs. Poems are placed within their wartime context. From war worker to parent; from serving daughter to grieving mother, sweetheart, wife; from writing whilst within earshot of the guns, whilst making the munitions of war, or whilst sitting in relative safety at home, these predominantly amateur, middle-class poets explore, with a few tantalizing gaps, nearly every aspect of women’s wartime lives, from their newly public often uniformed roles to their sexuality. When Second World War Spitfire pilot John Gillespie Magee penned his poem ‘High Flight’, little did he know that his words would inspire legions of aspiring aviators who had a similar wish to fly their ‘eager craft through footless halls of air’. Founded on years of detailed research, Roger Cole’s book High Flight tells John Magee’s extraordinary story, describing hitherto-unknown details of his short life, and providing insight into the inspiration for the poems that have found a unique place in history. Roger Cole’s High Flight traces the path of John Magee’s achievement, revealing an incredible story of human endeavor, vision, determination and self-sacrifice.